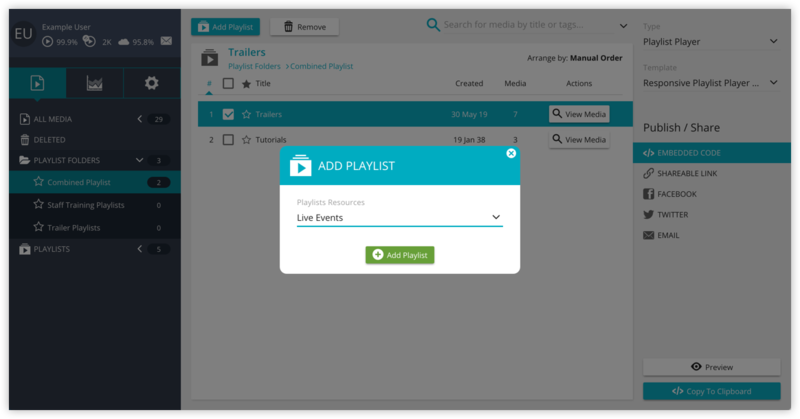 Once you have created a playlist folder you will be able to add any existing playlists to it before publishing the playlist folder. If you want to check out some demos and and extra information please visit our Playlist Players Information page. To add playlists to your Playlist Folder click on the ▼ Playlist Folders section in the left media bar. Select the Playlist Folder you would like to add playlists to. Then click on the Add Playlist button. 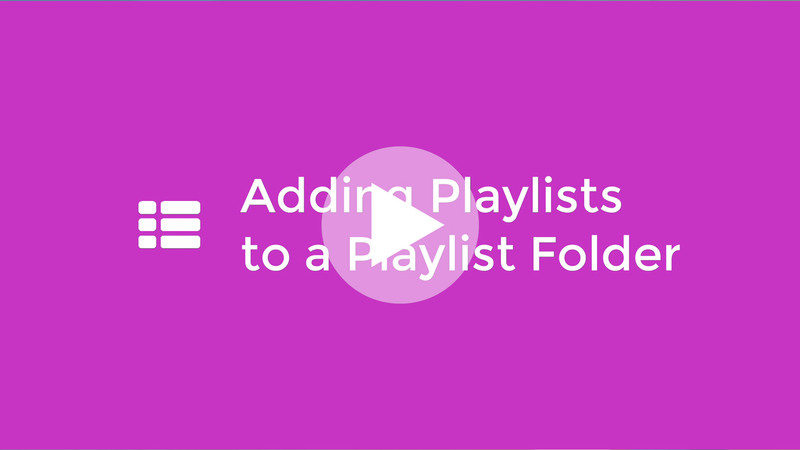 This will open a pop-up box from which you can select your desired playlist to add. Once you have selected your desired playlist simply click on the ➕Add Playlist Button. You have now successfully added a playlist to your playlist folder. Simply re peat the steps to add multiple playlists and when ready you can publish your playlist folder.